Camden had been asking to be a fireman for Halloween for oh, just the past 2 months or so. He loves everythinggg about fire trucks and fireman (don't get me started on how many times per week I hear him scream "Mommy!!!! I hear firetruck!! Weeee oooo! 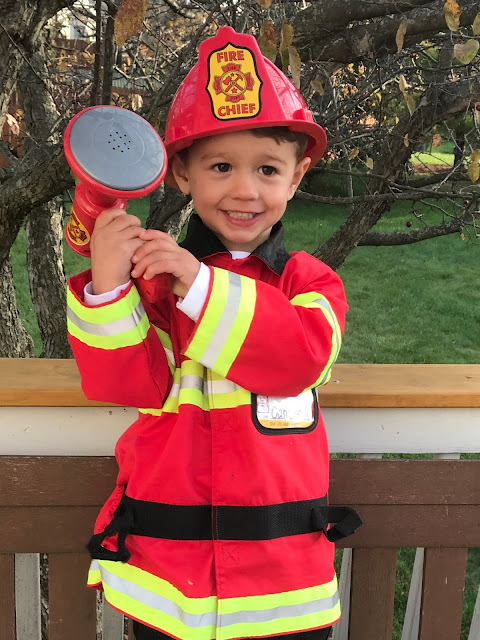 "), so it's not that surprising when I tell you that he's been "practicing" for the main event for the past few weeks now - wearing his fireman boots around our house and going up to our doors holding his hands out saying, "trick-or-treat...thank you!" Dressing up Grayson as his little dalmatian puppy was just a given! They both looked so adorable. 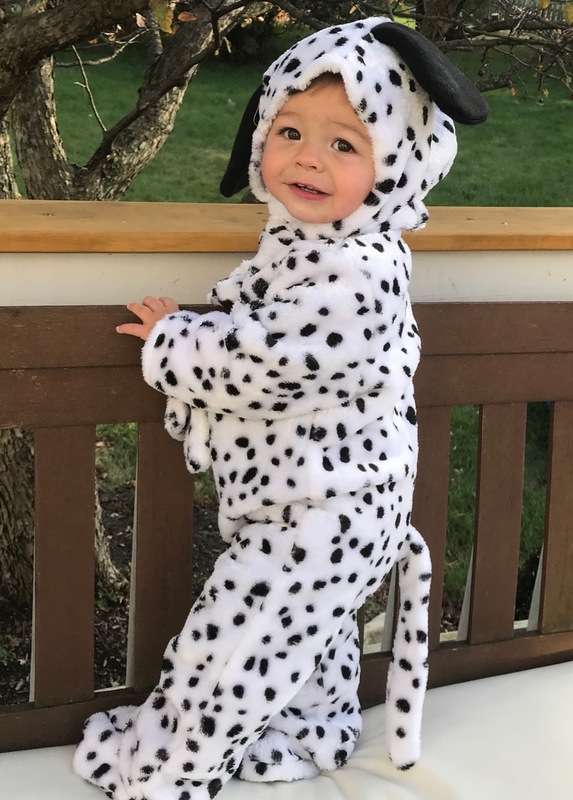 Since I pushed Grayson in the wagon for most of the time that he was out trick-or-treating (which wasn't long since it was so cold-he was content watching it all and being by mommy! 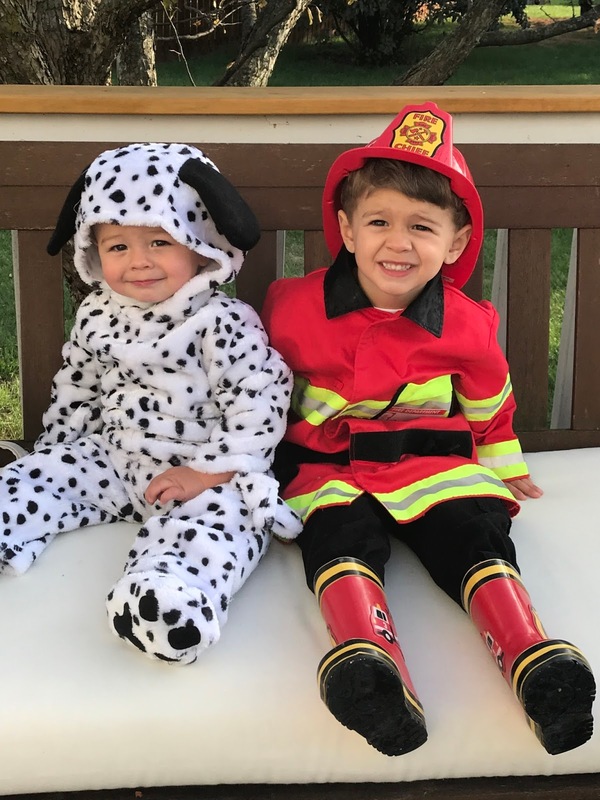 ), Camden often asked for a piece of candy for his brother and would run back to Grayson and say "here Gray!!!" and put his candy in his bucket. He was such a good big brother! We were also thankful for my Dad who came over to help and pass out our candy for us...the boys loved having him there too. Also, Kona got a pass this year. Totally forgot to buy her a costume, but next year it's on! 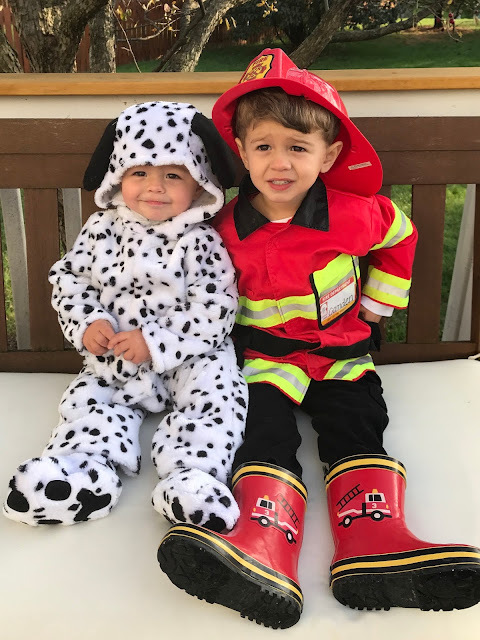 Every Halloween with these boys gets better and better...there's not much more to say other than I truly feel so lucky to be their mama and and see the joy in their faces! It means everything to me.